Just prior to landing, cabin crew find dead newborn on bathroom floor. An Indian woman was detained on Thursday on suspicion of leaving a dead newborn aboard a flight. 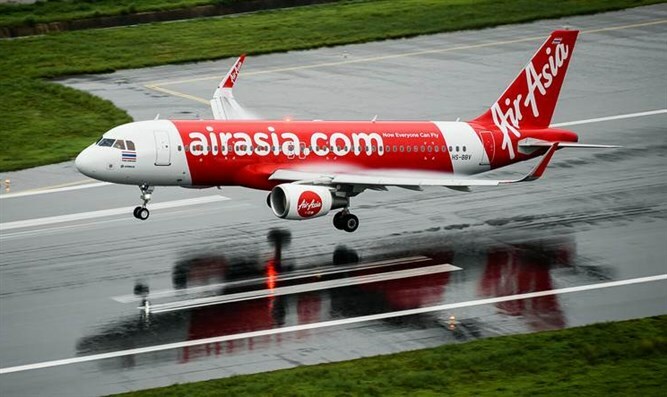 According to BBC, the 19-year-old woman, who was on board a domestic AirAsia flight Guwahati to Delhi, had not known she was pregnant and had given birth to the baby during the flight. Cabin crew found the newborn on one of the bathroom floors shortly before the plane landed. Senior police official Sanjay Bhatia told BBC that the woman "gave birth to a seven-and-a-half month baby in the plane's toilet and left it on the floor." Speaking to AFP, Bhatia said, "A 19-year-old acknowledged that she had delivered the baby and was taken to the hospital for medical attention and examination." She refused medical examination, he added. The suspected mother has been detained and the incident is being investigated. Police are working to contact the woman's family. In a statement, AirAsia said, "We will be assisting in the investigation and cooperating with all concerned agencies." The airline also noted that, "A doctor from the medical team at Delhi International Airport confirmed that the baby had been delivered on board," AsiaOne reported.